We have just posted this year's Build-A-Bear Black Friday ad. View the 2-page ad here. 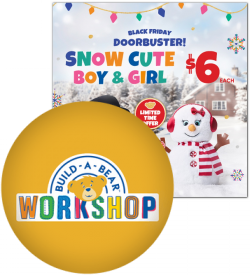 Build-A-Bear is going to have some BFD (that's Big Furry Deals) during Black Friday weekend. Full-size Snow Hugs Penguin Boy and Girl are just $6 on Friday. All make-your-own furry friends will be part of a "buy one, get one for $6" sale through Black Friday (and on Thanksgiving Day online). The words you love to read: we've got another new ad posted on the site! 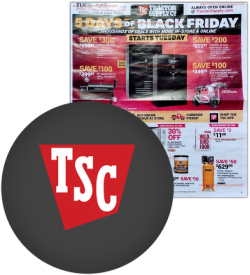 This time it's the Tractor Supply Co. Black Friday ad for this year. View all the 12-page ad here. Tractor Supply Co. stores will be closed on Thanksgiving so they'll start their sale on the day before Thanksgiving. 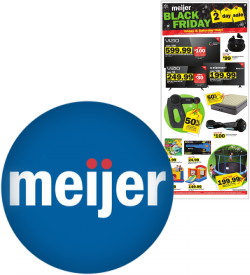 The ad also features several pages of Black Friday-only deals to check out. 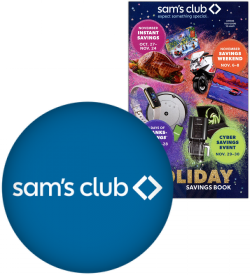 We have just posted this year's Sam's Club Black Friday ad. View the 12-page ad here. As usual, Sam’s Club is closed on Thanksgiving and will be opening at 7am on Black Friday. Sam's Club's deals will go online starting at midnight EST on Thanksgiving (late Wednesday night). Pages 9 through 11 of the ad contain online-only offers available at SamsClub.com. 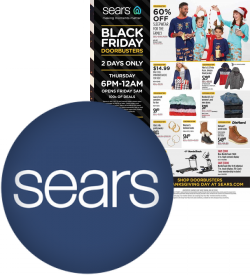 Non-members can pay a 10% surcharge to get any of these Black Friday ad deals online or you can choose to sign up for a Sam’s Club membership here and get a free $20 gift card. 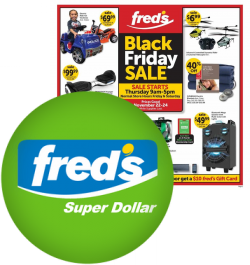 We have just added the Fred's Black Friday ad for this year to the site. View the 4-page ad here. Fred's is opening their stores at 9am on Thanksgiving morning and will keep them open until 5pm. The first 25 customers on Black Friday will receive a free $10 Fred's gift card. 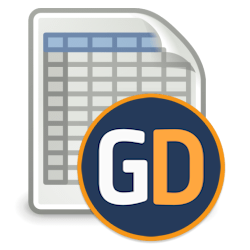 Check out our ad directory page to see all of the 50+ leaked Black Friday ads that we've posted so far this year. There are many popular ads still left to be released, so check back often. 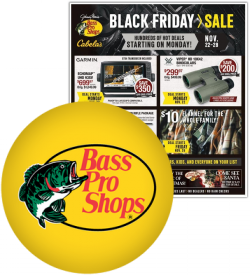 We've just posted the Bass Pro Shops & Cabela's Black Friday ad. Browse the 52-page ad here. Bass Pro Shops & Cabela's are opening at 5am on Black Friday and the ad features several pages of 5-hour doorbusters good Friday morning. They will also bring back their popular giveaway event on Saturday and Sunday, November 24th and 25th where the first 300 customers get a prize. How does the 2018 Bass Pro Shops Black Friday ad stack up to their previous ads? Find out and browse over 850 historical Black Friday ads on our exclusive Black Friday Archive. 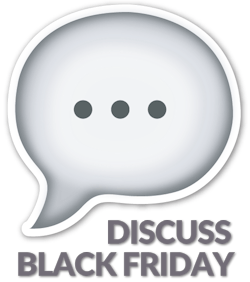 What's something you buy or re-buy every year on Black Friday? 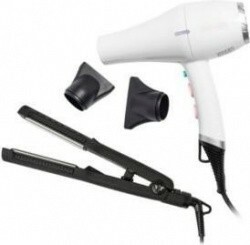 Air Fryers? Pros & Cons? Worth it to buy on Black Friday? 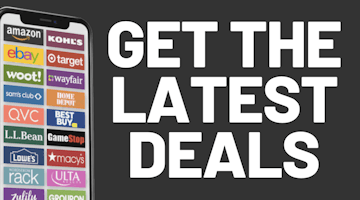 What are the five best deals in the Black Friday ads so far? Instant Pots - will they be cheaper on Black Friday this year? 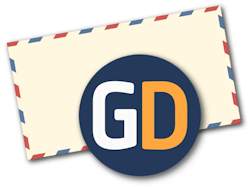 Our Black Friday message boards already have thousands of posts this year. Join us! 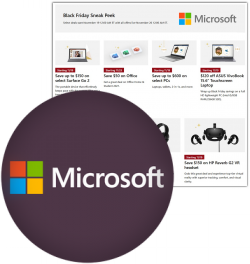 We've just added this year's Microsoft Store Black Friday ad to our collection of leaked ads. Browse the 8-page ad here and see if there is anything you're interested in. The first 4 pages are a preview of the sale from the Microsoft Store site and the last 4 pages are from a blog post Microsoft put out about deals from themselves and some of their partner retailers. Most of the deals in this sale start on Thanksgiving, although there are some that start as early as this coming Thursday the 15th. For more info on the upcoming Xbox deals, see this blog post. 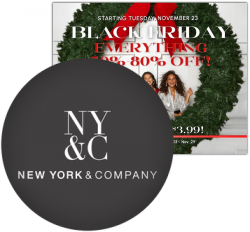 We have just posted this year's New York & Company Black Friday ad. View the 19-page ad here. New York & Company will have everything on sale for up to 75% off starting on Wednesday the 21st. They also have some nice Early Bird Steals good from Thanksgiving until 2pm on Black Friday. 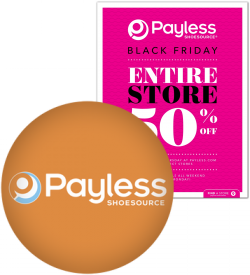 We've just added this year's Payless Shoes Black Friday ad to our collection of leaked ads. Browse the 14-page ad here and see if there is anything you're interested in. Payless is offering 50% off their entire store plus more deals all weekend. You can shop early on Thanksgiving day online and in select stores. The remaining stores will open Friday morning. We start off this Friday morning with some more new ads! First up it's the Fleet Farm Black Friday ad for this year. View all the 16-page ad here. As always Fleet Farm is closed on Thanksgiving. They will open at 6am on Black Friday this year. The first 500 customers at each store will receive a free limited edition Fleet Farm plush toy. 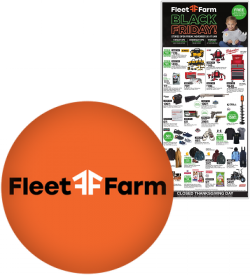 If you would like to see how this year's Fleet Farm Black Friday ad compares to their ads from past years, check out our Black Friday Archive to view over 850 ads from the last 14 years. It's here! 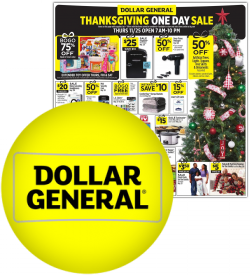 We've posted this year's Walmart Black Friday ad. View the 32-page sale ad here. As we predicted, Walmart will once again be opening at 6pm on Thanksgiving Day this year. As several other retailers have done, Walmart is having an online sneak preview with some of their online-only deals available for you to order right now. Check out that sale here and order soon if you see something you're interested in as the best deals will likely sell out quickly. 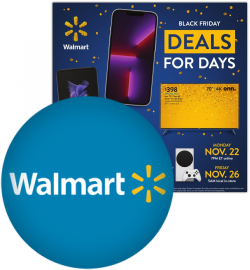 Walmart's ad states that they will be putting their Black Friday deals online a few hours earlier than usual. This year you can get them starting at 10pm EST on Wednesday the 21st. We have posted this year's Best Buy Black Friday ad. View the full 52-page ad here. Best Buy is opening at 5pm on Thanksgiving Day this year. Once again this year, they will close at 1am and reopen at 8am on Black Friday morning with a smaller set of new doorbuster offers. Best Buy is also having an online preview sale today through Sunday which you can check out here. They have hundreds of their Black Friday ad deals available while supplies last. 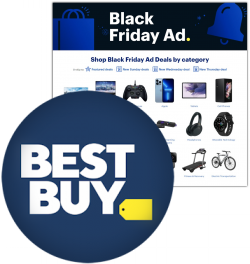 If you would like to see how this year's Best Buy Black Friday ad compares to their ads from past years, check out our Black Friday Archive to view over 850 ads from the last decade. 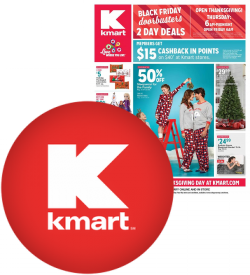 We've just added this year's Kmart Black Friday ad to our collection of leaked ads. Browse the 12-page ad here and see if there is anything you're interested in. Kmart is opening at 6am on Thanksgiving Day and will stay open until midnight. They'll be open on Black Friday from 6am until 10pm. 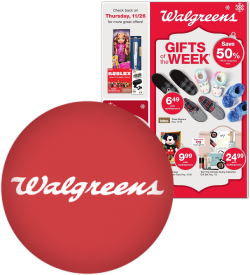 The ad features 2-day and 4-day sales. 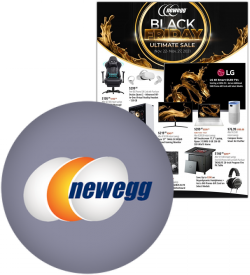 We've just added this year's Newegg Black Friday ad to our collection of leaked ads. Browse the 20-page ad here and see if there is anything you're interested in. Newegg is starting their Black Friday sale on Monday, November 19th although as always they have their Black November pre-Black Friday sale going on now on Newegg.com. After you check out Newegg's Black Friday ad from this year, see how it looks compared to past Black Friday ads at the Black Friday Archive. Browse over 850 historical ads! The words you love to read: we've got another new ad posted on the site! This time it's the Office Depot Black Friday ad for this year. View all the 8-page ad here. Office Depot is opening at 8am on Black Friday. You'll be able to shop their ad online starting at midnight on Thanksgiving Day and we expect the majority of their ad items to be online. 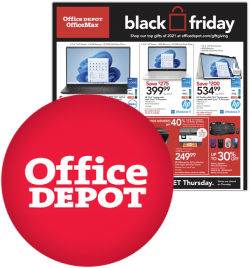 How does the 2018 Office Depot Black Friday ad stack up to their previous ads? Find out and browse over 850 historical Black Friday ads on our exclusive Black Friday Archive. We've just added this year's Lenovo Black Friday ad to our collection of leaked ads. Browse the 14-page ad here and see if there is anything you're interested in. 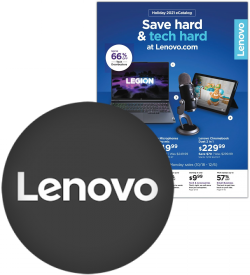 Lenovo is starting their Black Friday sale on Monday, November 19th. 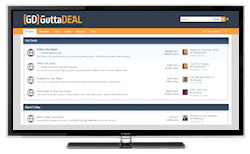 The deals in the ad have different starting days and times, so pay attention to the items you are looking to score. Time for another new ad! 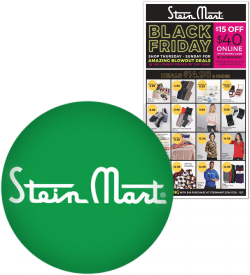 We've just posted the Black Friday ad for Stein Mart for you to check out. View the 24-page ad here and start making out your list. Stein Mart is opening their stores at 7am on Black Friday this year. 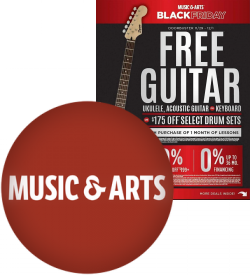 Page 5 of the ad contains a coupon good for $15 off $40 in store on Black Friday from opening until 1pm. They are also having a Gold Hanger event. The first in the door to find the golden hanger can win $500 or $5,000. The first 100 customers before 10am also get discount scratch-off tickets. 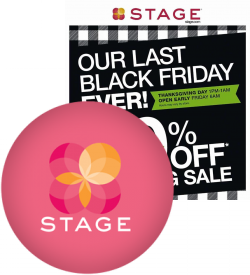 We've just added this year's Stage Stores Black Friday ad to our collection of leaked ads. Browse the items on sale in this 48-page ad here and see if there is anything you're interested in. Stage Stores are opening at 1pm on Thanksgiving this year. They will remain open until 1am before closing and re-opening on Black Friday at 6am. They'll stay open until 10pm on Friday night. As always, the same ad applies to all of the Stage family of stores including Goodys, Bealls, Peebles, Stage and Palais Royal. Stage has stores in 42 states. 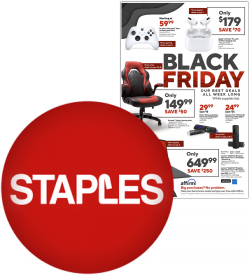 We've just added this year's Staples Black Friday ad to our collection of leaked ads. Browse the 18-page ad here and see if there is anything you're interested in. Staples is opening at 7am on Black Friday this year. You'll be able to shop online starting on Thanksgiving Day and choose shipping or free pickup as early as Friday morning. 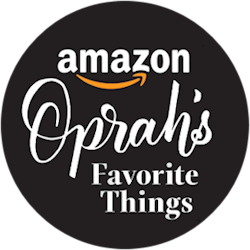 For the fourth consecutive year, the always-popular Oprah's Favorite Things list of gift ideas has been curated in one place on Amazon and you can order most of the items on this year's list from Amazon including items such as Littbag handbags, Embark dog DNA kits, Helix mixers and more. 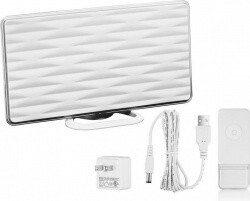 Check out the full list for gift ideas for the techie, the chef, the beauty crush, the foodie, the traveler and more. The list also has sections for gifts under $50 and a set of gift ideas for your pets. 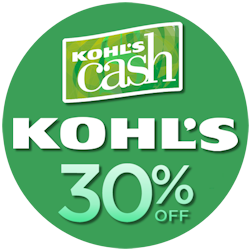 Stack the savings today at Kohl’s! Kohl's Charge cardholders can use code APPLE30 to save an extra 30% on most items until the 15th and code MVCFREENOV for free shipping with no minimum (in most areas). Non-cardholders can save 15% with coupon code KICKOFF15. Stack these codes with code NOVHOME10 for $10 off $50 in home items and get free $10 in Kohl's Cash with every $50 spent after discounts until the 15th. In some cases the deals available with these coupon codes are actually better than what you'll find during the Black Friday sale. Time for another new ad! 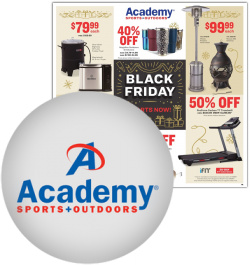 We've just posted the Black Friday ad for Academy Sports for you to check out. View the 20-page ad here and start making out your list. Academy Sports is opening at 5am on Black Friday this year. 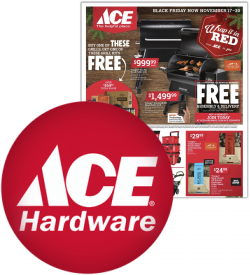 The ad features several pages of doorbuster specials that are available Friday only while the rest of the ad is also good on Saturday.